Taylor Swift has donated 3,000 (£86,000) to a Tennessee project fighting a series of anti-LGBTQ bills in the state. The 29-year-old singer sent the money to the Tennessee Equality Project (TEP) alongside a handwritten note to its executive director Chris Sanders, which he shared on Facebook. "I’m writing you to say that I’m so inspired by the work you do, specifically in organising the recent petition of Tennessee faith leaders standing up against the 'slate of hate' in our state legislature," Taylor's note read. "Please convey my heartfelt thanks to them and accept this donation to support the work you and these leaders are doing. I’m so grateful that they’re giving all people a place to worship." Alongside an image of the letter, dated 8 April (19), Chris wrote: "Taylor Swift has been a long-time ally to the LGBTQ community. She sees our struggle in Tennessee and continues to add her voice with so many good people, including religious leaders, who are speaking out for love in the face of fear. "Tennessee Equality Project is honoured and grateful to reveal Taylor Swift has made a donation of 3,000 to support our efforts at this critical moment." The TEP have been working hard fighting the 'slate of hate' in Tennessee - six bills recently introduced in the state's legislature. One, which added bathrooms and locker rooms to a list of public places in which someone can be charged with indecent exposure, is feared to lead to transgender discrimination. Another bill attempts to ban gay marriage, according to NBC News, while a third would make it easier for adoption services to discriminate against LGBTQ couples if they have "sincerely held religious beliefs". 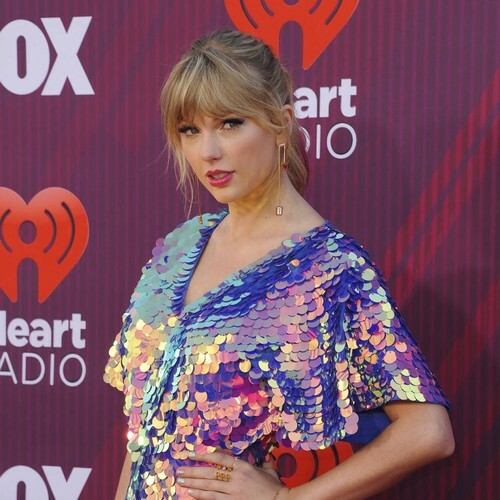 Taylor, who moved to Tennessee as a teenager, had remained silent about her political beliefs until November (18), just before the midterm elections, when she took to Instagram to urge her followers to get out there and vote. In the caption, she explained that while she had previously been "reluctant to publicly voice my political opinions", there were "several events" in her life and in the world that led to a change of heart.